This is a new Switchless Kernal selector PCB with extra features. In basic use it replaces the original Kernal. Second Kernal is started by keeping down the Restore-key while turning on the machine. The default Kernal can be selected with a solder bridge or jumper. 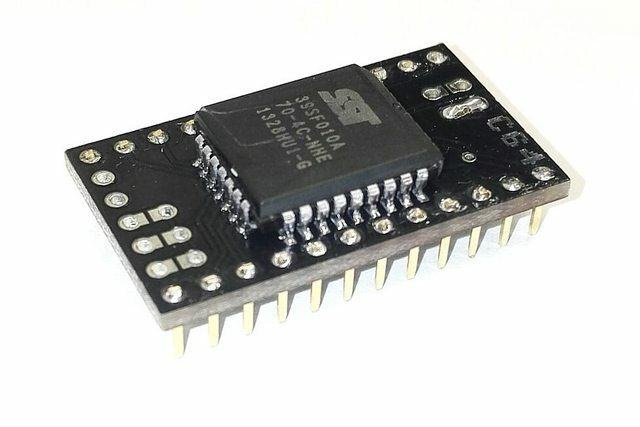 This PCB can also replace any other ROM on the motherboard (anyROM feature). You can replace the Basic, Kernal or Character ROM. 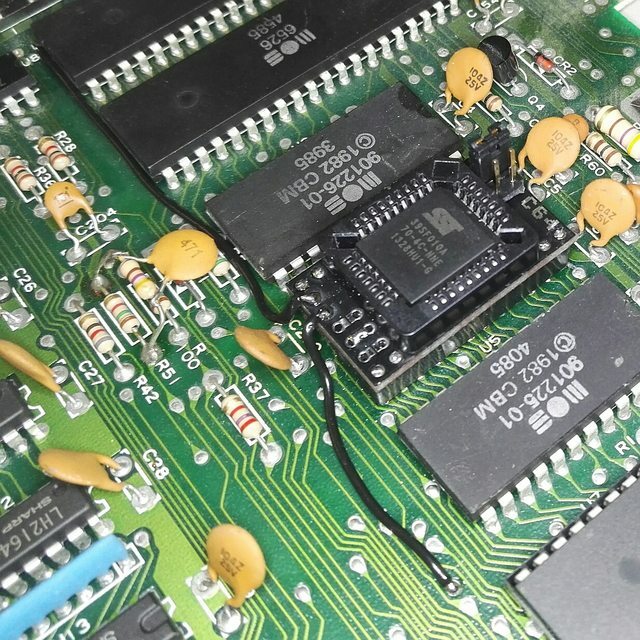 You can replace one ROM or any combination of 1-3 ROMs. Every extra ROM after one requires adding one extra wire. The PCB got jumpers / solder bridge for configuring the socket position. 25pcs for sale. Also on sale elsewhere. Payment via PayPal. Normal payment add 0,75€. Family&firends no fee. Payment via EU bank transfer. No fees. For the pre-programmed Kernal you can select JiffyDOS or JaffyDOS. The price includes an official license worth 8$! Notice your unit may have the original Kernal IC (U4) soldered or placed on an IC-socket. If it is soldered you have to desolder it and solder the supplied IC-socket into place. Interested in 1 DIY kit + 3M PLCC-socket. Sending PM. Payment received. Shipped the package yesterday. I am interested in one DIY kit + 3M PLCC socket + pin headers & jumpers. PM sent. Last edited by redhawk668; 1st April 2019 at 19:28. Replied to cemi & redhawk668 PMs with payment details.